Please leave your testimonial for one (or all!) of the finalists as a comment below. Review all of the 2017 AASL Social Media Superstar Finalists here. As her thousands of Twitter followers can attest, Naomi Bates, school librarian at Northwest High School in Justin TX, is full of great ideas and wonderful resources, which she shares generously through daily posts. Naomi is a voracious reader and posts YA literature reviews on her blog, YA Books and More, where readers can find digital media resources and presentations, as well. Her nominator mentioned, “I teach a class to classroom teachers who are in a program to become certified as library media specialists, and nearly every week I am sharing something with them that Naomi has posted. 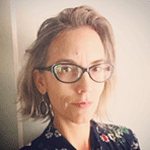 I tell them that she is one of my idols in our profession.” In addition to her Twitter, Pinterest and GoodReads activity, Naomi is also a frequent poster to LM_Net, one of the original “social” tools for librarians looking to connect with professional colleagues globally. Jane Martellino clearly inspires the librarians around her. An elementary school librarian in Connecticut, Jane’s programming ideas prompted a colleague to write: “[T]hrough her website, Twitter, and our state library organization’s email listserv, Jane generously shares ideas and resources that enrich the library programs for students statewide. Many of her shared programming ideas are geared toward community service and activism… Her ideas are cutting edge and involve the latest in STEAM programming as well.” Jane is also the founder of the Charter Oak Children’s Book Award, a statewide program now in its sixth year and designed to give readers in grades K through 3 their first experience reviewing and critiquing picture books and non-fiction titles. In addition, Jane created the annual Unconference for CASL called Share 2 Learn and this past year started a Loaner Program so members can try out STEAM materials. Stacy Dillon’s sense of humor has garnered her quite a following on social media. “While I have never met Stacy in person,” writes her nominator, “ there is not a week that goes by that I don’t interact with something she has shared on social media or written for SLJ…. She also happens to be hilarious, imho.” Currently serving as an embedded lower-school librarian at an independent school in New York City, Stacy’s experiences as both a children’s and young adult public librarian helped hone her talent for creative programming. “Her library program is driven by student interest and engagement, which she effortlessly marries with digital, media and information literacy instruction that we value as professionals,” continues the nomination she inspired. Additionally, Stacy has shared her passion for kidlit through two blogs, first Booktopia, then Welcome to my Tweendom. Please Note: Commenting is now closed. How lucky is Texas to have such a willing leader like Naomi Bates? She shares her beliefs, her students, her work, her lessons learned, and her heart through her posts. I glean so much from what she shares. As I move from an elementary to a middle school library, I looked to her posts to help me see the possibilities of programs and events I could implement. I am ever thankful for all she shares. Naomi Bates is one of my librarian rock star mentors! Naomi’s blog posts inspire me to try new technologies and investigate websites or apps. When Naomi recommends a book, I look to add it to my collection. When she gives a programming idea, I figure out ways to adapt it to my library. She is generous with her time and knowledge and is passionate about librarianship. Several years ago, I emailed her (She’d never met me.) about taking students to the Teen Day at our annual state conference (TLA). Naomi responded with a lengthy, thoughtful answer. I’ve since had the pleasure of meeting her at the North Texas Library PLN LibCamp (a professional development event she helped plan and execute). Here, I was motivated to set up a Twitter account for my library. I do not scroll past Naomi’s tweets. I am amazed at how quickly she responds to other librarians through list servs. She is a master of having a list of books at the ready for almost any request. Naomi Bates is truly the librarian I aspire to be. So, you think you know Naomi Bates? I’m proud to say that while I first knew her as most people do, through her pioneering work in social media for school librarians, I’ve also worked as a colleague of Naomi’s as she became a respected leader in our state association! She is a lifelong learner, who never quits striving to be the best she can be for her students and school community as well as the larger library profession. I know I’m not alone when I sometimes wonder, “how do some these people actually have time to be so visible in social media and do their jobs?” I can honestly say that when it comes to Naomi, she’s the real thing–not just a social media personality. I suppose we school librarians are better at PLNs because we’re both teachers who want to help others grow, and librarians who are collaborative and service-minded. She embodies those things, so it’s no wonder we are all in awe of the work she does and shares so selflessly! I have been bowled over by Naomi Bates stuff more times that I can name. I never come away from her blog without getting inspiration, information, advice, and more.She is always enthusiastic, passionate and genuine! I have thought many times that the students in her library are very fortunate to have a librarian like Naomi. 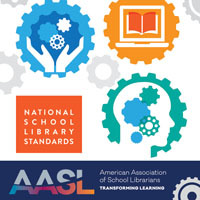 I love this opportunity to recognize Naomi as a rockstar librarian and to get connected with the other stellar librarians on this list as I grow my PLN. Thank you! Naomi Bates has been a superstar in Texas for years! She leads by example, helping librarians enter into the blogosphere where they may have feared to tread. We all learn from her and can count on her for expertise and guidance in the area of social media and so many others. Jane Martellino has been a wonderful resource for new school librarians like me! This is my third year teaching in a PreK-2 school and I have used Jane as a resource numerous times. She is always sharing ideas through her own school website, the CASL emails, and at conferences. I follow her on Twitter as well to keep up with all the amazing activities she provides her school and library community. This is the 2nd year I have participated in the Charter Oak Book Award. The ThingLink she created last year for the nominees was perfect. We have the elementary Nutmegs for our 2nd graders, but Jane has created something special for our youngest readers. I can’t wait to attend the Unconference every year because I know I will walk away with some amazing ideas. I thank Jane for creating this opportunity because I feel I get more out of the Unconference than I do the CECA/CASL conference in the fall. It’s such a wonderful community to be a part of. And finally, the loaner program for STEAM activities is so innovative. Unfortunately, I missed out on the sign up to borrow the KEVA blocks, but my colleague borrowed them and raved about. It’s a great opportunity for librarians to try out something new without having to purchase it first. Jane helps promote such a collaborative community amongst librarians in CT. I can’t think of a better person to receive this recognition. I am so excited for the opportunity to recognize Jane Martellino as a pioneer and leader in this wonderful field of ours! Jane has been an incredible resource through the CT ListServe. She shares her innovative ideas with the entire community without reservation! The CASL Unconference Share2Learn is a fabulous day of sharing and learning that we can thank Jane for. Whenever I am looking for a new YA novel to read, I consult Naomi Bates’s social media presence. An avid and passionate reader, Naomi goes the extra 1,000 miles. She uses her Web presences to tirelessly advocate for the best in YA literature to encourage young adult readers as well as influence secondary school librarians’ collection development and programming work. Brava, Naomi! Both Jane and Naomi are amazing educators. Living in CT, I’ve known Jane for many years, and she has done a great job of leading the Connecticut Association of School Librarians, which has included planning our joint annual conferences with our technology educators association, as well as helping CASL meet new challenges. I was able to borrow Keva Planks for two weeks for my school thanks to a program Jane initiated. She also does an excellent job of organizing our annual CASL Unconference. A colleague of mine whose daughter was a student in a school where Jane formerly was the LMS, lamented to me that her daughter was losing Jane as her school librarian when Jane left that job to move to another district. Jane is always happy to share projects she has done and technology tools she has used. While I’ve never met Naomi personally, I’ve been following her on LM_NET and Twitter for years. She also is always willing to share resources, ideas and does a great job of promoting YA books. I often share her LM_NET posts with a class I am teaching for classroom teachers who are pursuing a certification in the library media field. Whenever I’ve contacted Naomi personally, she always gets back to me promptly. She has been a leader in our profession for many years, and exemplifies what our profession is all about. I’m super lucky to have the opportunity to work with and learn from Naomi Bates. Whenever I have questions about YA books or librarianship in general, I know that I can call on Naomi for an informed, meaningful answer. She leads with a passion for libraries and literacy. Her social media presence is a great resource for new and experienced librarians alike. Naomi Bates has been an inspiration to me and many of the librarians I supervise. She has been on the cutting edge of library related topics and in the area of technology. She has been incredibly involved in many library and technology organizations as a speaker or trainer. Naomi is resourceful to many of us who are leaders in our library communities. It is great that she is chosen for such a wonderful opportunity to enlighten many more people in our library/technology world. I have to write in support of Jane! Jane is a tremendous leader for the Connecticut School Librarians. She has really energized the library media specialists around the state with her energy and passion for school libraries. Her first CASL Conference last year was FUN! Not only did she line up Mr. Schu, but the sessions were exemplary, and there were great prizes and lunch. We felt really lucky to be part of this day. This year, as my library tiptoes in the Makerspace culture, Jane had the brilliant idea of starting a loaner program for equipment for school libraries! I can’t wait to borrow Keva planks for my two-week session and I know she is already planning to add on to the possible lending materials! Library Media Specialists like Jane continue to inspire us to try new things and reimagine our purpose. We are lucky to have her in CT! Jane is a trail blazer. She has inspired numerous students and staff members to be innovative, creative inventors. Students and staff are collaborating, problem solving and exploring uncharted territory in the public schools. It is exciting to see the future in action now. Jane Martellino is a cutting edge educator. Her dedication and enthusiasm are evident in her interactions with her students and colleagues alike. Her lessons are well thought out, and their execution are always creative and engaging. She always makes herself available for questions and technology guidance as well. Our entire district has ventured into the world of Google and Twitter alike because of Jane’s willingness to share her expertise. She is truly an asset to our district and we are so proud to have her as a finalist. She is more than deserving of this nomination. Jane is the consummate learner! It was clear when I first met Jane 3 years ago that she would understand my vision and passion for integrating technology into the classroom and everyday learning. She has transformed the learning environment in our school by encouraging staff to take risks, supporting them all the way and building their capacity, all with patience and meeting teachers where they are. She has partnered with me to create an Innovation Lab and Library that has quite literally, become the learning and exploration hub of our school. She has encouraged students who typically are known as the shy, non-risk takers into confident, initiating broadcasters, reporters, photographers, creators and innovators. Students are engaged and motivated when they’re in our LMC and they have demonstrated their proficiency and mastery in a variety of mediums thanks to Jane’s pioneering spirit… and taught their teachers to take risks along the way! Jane Martellino is without a doubt one of the most conscientious educators who constantly shares her ideas,lessons, and talents with all teachers through social media, workshops and mentor experiences across the state of Connecticut and beyond. She is always ahead of the crowd as an educator leading students and teachers into uncharted territory weaving technology and critical thinking skills into amazing learning experiences for her students. She is one of the most innovative and humble educators I have met in my 22 years of teaching and deserves this nomination. Jane has more enthusiasm for technology and education than anyone I’ve ever met. She simply never stops! Working with her at BES has been both enlightening and engaging. She has brought an energy to our students and staff unlike anyone else. There is no idea too big! She can take anything and everything to the next level, always asking, “what if?” She is more than happy to collaborate with teachers on any project. Her passion is contagious and she inspires everyone to go above and beyond. This nomination is well deserved. Congratulations Jane! We LOVE Jane Martellino! She is a true professional educator – she has brought our Library Media Center to life! I stand in constant amazement at the fun, innovative things that students of all ages are engaging in on a daily basis thanks to Jane. Not only am I amazed by Jane’s amazing abilities with the students…I am also amazed and thankful for her dedication to the staff. Jane always makes time to help us in any way we may need (and for me that need is great when it comes to technology)…and she makes it look so easy! It is hard to put into words how much Jane has done fore us – she is more than deserving of this award! 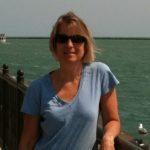 Jane Martellino has influenced so many Connecticut library media specialists through her Twitter account, her consistent sharing through CASL/serv, and through her creative “unconference” that she initiated, when she was CASL vice-president. I love to travel to national conferences with Jane so that we can stay up half the night talking; the sharing is very one-sided, since she is so tech-savy, as well as creative in literary projects. In addition to being the consummate sharer, Jane will help you with any difficulties that you might be having in your teaching. I have known her to mentor new librarians, who need her optimism and upbeat attitude about everything in life! She is truly a pleasure to be around! Jane Martellino is an amazing educator! Her intelligence, dedication, and commitment to teaching and learning are but a few qualities which make her an invaluable part of our school. Jane has worked tirelessly for our students and staff, encouraging us to take risks with our learning and pushing us to the next level. She has a gift for imagining what something might be and then turning it into reality. To Jane’s credit, she shares the results of her imagination and hard work, inviting anyone and everyone to use her ideas through postings on Twitter, blogs, and listserves. These simple acts of sharing are a reflection of her generous heart and kind spirit. Her well-deserved nomination for this award comes as no surprise to anyone but Jane! Jane Martellino is a passionate library media specialist who donates countless hours to the rest of us so that we may benefit from her knowledge. I met her in person at an Edcamp in Connecticut several summers ago. We both felt that we already knew each other though and discovered that it was from the CASL Listserv. She was a frequent poster back then too. Since then, I have had the pleasure of attending a summer weekend institute with Jane sponsored by the Eric Carle Museum and The Highlights Foundation (which I wouldn’t have known about except for the fact that Jane shared the info on CASL-L with all of us!). Jane and I really got to know each other at this event. I continue to appreciate all that she shares with us. She has been a phenomenal leader in Connecticut. The conferences she has organized have been incredibly useful and energizing. She has run roundtables for school librarians in my area too. If I see something that Jane recommends via Twitter or CASL-L, I always consider being a part of it because I know that anything she suggests she has already thoroughly vetted and/or attended, and the activity/event will be worthwhile for my library/school. I wholeheartedly support Jane Martellino’s nomination as a Social Media Superstar: Program Pioneer. Naomi Bates is a wonderful library leader who is always willing to share her knowledge with others. She is very deserving of this honor. Naomi Bates is unquestionably a leader in her field. She works tirelessly to share innovative ways to implement technology in libraries and classrooms around the country. However, this is not what makes Naomi a premier educator. I have known Naomi for almost a decade, and the one thing that has always impressed me the most about her is her heart. Naomi has a heart for librarians which is shown in her daily blogs and tweets as well as through presentations at seminars around the world. She has become the “go to” resource for librarians who want to find effective ways to support any type of learning. Through conventions, blogs, and tweets, she presents her knowledge and ideas with real-world applications that can be easily implemented in all levels of education, elementary through college. Additionally, Naomi has a heart for teachers in that she will not stop until she has provided whatever resource is needed or by continuously searching out and sharing tools for learning. She willingly comes to the classroom to demonstrate the newest tools for multi-media projects and increasing student engagement. But ultimately, Naomi has a heart for students. When students go to the library, it feels like coming home. They are welcomed with open arms and are encouraged to settle in and get comfortable. Naomi will search endlessly for that one, special book to satisfy a student’s quest for adventure or to find that one elusive fact to present in a research paper. To say that Naomi is an educational leader really doesn’t do her justice. Yes, she is an expert in her field, but her expertise doesn’t lie solely in her innovative, creative ideas or her ability to integrate the latest technology in the classroom. It lies with her heart—for colleagues, teachers, and kids. When it comes to that, she rocks! To her ever-widening circle of colleagues, friends, and family, Jane Martellino personifies life long learning and possibility thinking. Jane’s technology expertise and ability to teach others with her “can do” spirit translate into teacher empowerment and student exuberance. Bringing books to life through imaginative book clubs? Jane’s been there. Design and implement whole school and family programs to celebrate literacy and reading? Jane has pretty much patented the formula for success. Inspirational, collaborative, out of the box thinker define Jane Martellino. I always feel privileged to be in Jane’s presence and leave meetings feeing energized and capable. She is most deserving of this award. Where social media can often pull us toward knee jerk or facile reactions, Stacy Dillon’s thoughts are insightful, deep and relevant to the issue at hand. Her concern for the world around her is clearly genuine and considered and her knowledge is well-researched comprehensive. Where it is disturbingly easy to stay in the echo chamber of ideas and simply reinforce your own outlook, Stacy’s offerings have that most valuable and uncommon quality: they’re thought-provoking. Stacy is a joy to follow. She often feels like a mentor and someone who I could ask for personal advice from in DM even without having met her. I hope to get to meet her next time she’s in my part of the world. As a fellow book nerd I always enjoy her book tweets. Stacy Dillon is one of my favorite social media go-tos to learn about new books and programs in a school library setting. Her slice-of-life approach to social media is always authentic – never about fishing for likes or clicks. To put it like a contestant on The Bachelorette, she does social media for the right reasons. For the past two years, Naomi Bates has been my district’s featured presenter for secondary librarians on our October professional development day. What a great presenter she has been! Both years, she has introduced us to new ideas, new webtools, and new books. She has provided some of the best, most relevant district professional development that I’ve had since becoming a librarian 10 years ago. She is also very accessible and doesn’t mind sharing her presentations with other librarians. Her blog and monthly Twitter chat are vital resources for this librarian and many more. Naomi is great! I have had the privilege of knowing and working with Naomi Bates for the past eleven years. As a teacher, I know I can count on Naomi to help find creative, innovative and real-world applicable technologies to promote in our Career and Technical Education classes. Naomi’s continuous communication with staff as well as students through newsletters, blogs, Twitter and other social media outlets serve as outstanding resources. I often have Naomi as a guest speaker/teacher for my Education and Training Intern classes. 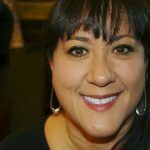 She willingly dives right in to prepare and deliver engaging and rigorous lessons for my students on topics such as promoting literacy in the classroom, how to incorporate engaging and relevant technology in the classroom, as well as sharing the leading-edge technologies for students to use to become future-ready. She always displays and exhibits a love of the library and learning to all that know her! I have worked with Stacy Dillon for over a decade and her dedication to learning and growing as a professional are unmatched. She has maintained a steady, sincere and approachable social media presence since the early 00’s on a number of different platforms and jumps in feet-first to whatever new initiative we are undertaking at school. She started an “Appy Hour” for parents to learn about new technologies and created “Maker Mondays” and “Tinker Tuesdays” in order to harness the busy energy of middle schoolers in the library before school and to keep their focus off their phones and on their imaginations! And the best part is that she constantly shares out her ideas to learning network through her successful social media outlets. Stacy is a fantastic, social media savvy librarian. This benefits both her students and colleagues. Whenever Stacy posts something new it is always informative, cutting edge, on trend, and presented in a way that is completely approachable. She shares her favorite articles on a daily basis and continually interacts in conversations with her peers through her social media accounts. She is incredibly experienced and does amazing work both locally and on a national level! So excited to see such a great person be up for this! Naomi Bates is the epitome of what we want educators to be on social media, and I say this from my position as a district Instructional Technology Coach. While Naomi’s job title is Library Media Specialist, it should be “guru of all things technology and learning” related. 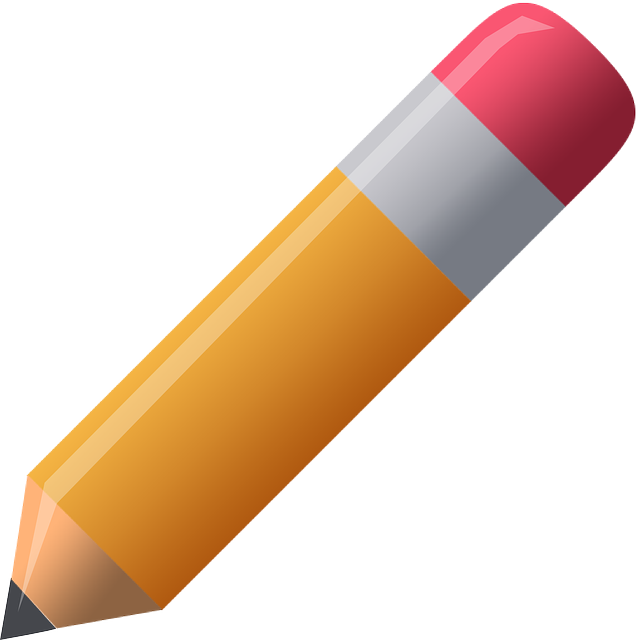 If you take just a few moments and glance at her Twitter, you will see tweets promoting literacy, collaboration among teachers and educators, resources for student projects, links to helpful tips for YouTube… and all of that is in the past two weeks. In addition to being active on social media platforms like Twitter, she regularly updates her blog and the school’s library resources website with up-to-date information and resources for anyone to access worldwide. She recently compiled a list of 100 most useful web tools and applications for education, based on her own extensive personal use and experience, and shared it online for anyone to use. When teachers need help integrating technology or research into their lessons, she will lesson plan and collaborate with them, even hosting and co-teaching classes during the day to spread her knowledge. She helps run a monthly “lunch and learn” session in the library called Tech Bytes, helping to spread technology tools and tips to teachers in the school. She is a mainstay in the district for professional development, and has been a guest speaker at conferences due to her influence in the area. Naomi always goes above and beyond the confines of her job to spread learning through her social media account and her constant drive to improve literacy in its myriad of forms. She is more deserving of this and other awards than any person I know, and I sincerely hope you choose her. Thank you! One of the things I rely on as a social justice educator are diverse resources for classroom teachers and families. Working alongside Stacy Dillon makes this part of my job so easy. Stacy comes across and shares resources long before I see them on book shelves. She has a wonderful eye for what makes a diverse book worthy of sharing with large audiences. Stacy looks at the images, story line, protagonist, author, and explicit and implicit messages embedded within the story. For five years, Stacy and I have collaborated with some of our youngest students to consider ways of making GLSEN’s Ally Week more present throughout the school year. She is a joy to work with and I’m proud to call her a racial justice, anti-bias colleague and friend. Stacy Dillon is so deserving of this honor, not only because what she does for her own students, but for how she contributes her great ideas to the larger education world through her use of social media. I am lucky to follow her on both Twitter and Instagram and I see how she inspires her student readers and her own children in such an amazing way. What I find most exceptional about Stacy is how she is down to earth and relatable. Her advice and classroom suggestions are realistic and easily implemented. Her service on this past year’s Caldecott committee is another indication that she is amongst the top librarians in the country. I know for a fact that I can count on Stacy as one of the most valuable resources on social media and I can’t imagine navigating the world of books and reading without her. Stacy Dillon makes things happen! Her innovative approach to librarianship is evident in school programs she has developed, such as “Maker Monday” and “Appy Hour.” She recently initiated a unique partnership with a local skate shop with plans to jointly sponsor amazing programs for teens. She is a leader of her profession: a frequent contributor to online professional discussions and co-author of Mix It Up column for School Library Journal. A recent piece explored Fandoms & Cons. She continues to be a voice on social media, supporting the relevant role that libraries can play in the lives of students and in the development of vibrant communities. Stacy Dillon is my own personal social media superstar, so it makes perfect sense to me that she is a finalist for AASL! I am indebted to Stacy for bringing me personally into the world of social media for educators. Reading tweets, especially following chats, has opened up my world and brought me tons of resources. Stacy is an example to her colleagues at school, her wide-ranging network of librarians and educators, and her students too! She is creative and child-centered with ideas like student-run “book talks,” and “Maker Mondays,” and student-nominated author’s awards. She is a stalwart supporter for her colleagues whether leading by example, helping develop collaborative curriculum, or just sitting side by side and hand-holding someone through a new idea or use of library or technology resources. Stacy, we are glad you are our own personal social media superstar! I have always admired the way Stacy Dillon combines her in-depth knowledge of popular culture — both what’s widely known and what’s at the edges — with consideration for child developmental milestones and interests. Her empathy, sharp wit, and impeccable taste combine with her skill as a teacher to make her an invaluable resource and colleague (and friend!). I’ve had the privilege of working with Naomi Bates for 14 years. When I was a classroom teacher she was an essential part of my instructional design because she often helped me design webquests for my students. As an administrator I have continued to work closely with her as we have added resources to the library and worked together to make the library an essential hub of the school. We have a daily tutorial period called iNvest where students are given 38 minutes to work on homework, study, attend tutorials, or attend clubs. The library is one of the most popular locations during this time because students know that their study time will be protected. Outside of iNvest, Mrs. Bates has worked tirelessly to make the library a safe haven for all students. Based on the number of students who are in there at any given point in the day, it is obvious that it has worked. In addition, Naomi is part of our technology team. She works to help ensure that student work is displayed for our TechnoExpo and provides resources and tutorials when needed. Naomi has presented at conferences in the United States and in Africa and is an excellent advocate for students. She truly does deserve this honor. Jane is a phenomenal inspiration for CT library media specialists. She generously shares her lessons, creative ideas and enthusiasm for the profession with everyone via twitter, her blog, our CASL discussion list and her library web page. She is always willing to coach a colleague (in her school, our organization, or her PLN) in the adoption of a new technology resource. She encourages others to participate with her in skypes if they are tentative about dipping their toes in the water and helps others to “pre-test” their equipment with her to make sure all of the tech is set up properly and working in advance. Jane has shared her lessons with teacher librarians across the country by presenting at ALA & AASL, in addition to our state conference which we co-host with our educational technology colleagues in CT. As a member of our conference committee, Jane has worked tirelessly to help plan and execute a successful conference for the last few years. In addition, Jane provided leadership in our organization by suggesting that we create our Spring Share 2 Learn Unconference which is now in its 4th year and our loaner program for makerspace equipment for our member librarians. Due to the success of the program, we have purchased a second set of Keva planks and we are exploring lending other items. Lastly, Jane is sincere and humble. In spite of winning several awards, she supports others in her profession, promotes their work and shares opportunities with others..
Love these ladies! 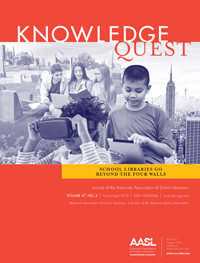 Jane and Naomi have both written for School Library Connection magazine. I LOVE Jane’s ideas for technology integration. Her work with green screens is exemplary. Always getting kids to think outside the box and synthesize material. Good work! Jane Martellino has pioneered many wonderful programs. One such program is the “Mr. Wiggles: My Forever Friend and Reading Buddy” for kindergarten students. Students take turns bringing home the stuffed animal bookworm for a one week stay and documenting their adventures. Jane has shared this program with the library media community via twitter and in an article on “Programming Librarian” website. Another project pioneered by Jane was the creation of the Charter Oak Children’s Book Award program. This award encourages our youngest readers to appreciate and evaluate writing and illustrations of current picture books. This school year Jane also pioneered a new state-wide loaner program of Keva planks for the purpose of giving library media specialists the opportunity to try out a new product prior to purchasing. These are just a few of the programs Jane has begun. She is an innovative and self-less colleague. Jane Martellino truly is a program pioneer and social media superstar! In addition to being a most excellent librarian and teacher, Stacy Dillon is one of those quite talented social media presences who not only connects me to useful and valuable resources, but does so in a way that always reminds me that there is a person connected to her posts. Edgy, funny and always relevant, she reinforces the idea that social media can be a powerful means to make and sustain connections. As a valued member of our school’s learning community and as an ambassador through social media, Stacy regularly affirms our school’s mission and committment to learners of all ages. Her work as a librarian touches not only on how and what we read, but also on what we make and how we learn together. That these values are also at the core of her social media presence and amplify her value as a Program Pioneer. Noami Bates is more than just a librarian. She is more than just a media specialist. She is an innovator, a trailblazer, a creative genius, and a friend. You can’t put a label on Naomi because she is so many things to so many people. To my students in AP Seminar she is master consultant. She is the only person in the building allowed to review their work and help them find sources for their IWA – Individual Written Argument; she is invaluable to them. To the N2RDG students she is a giver of prizes and rewards… She organizes the end of the year field trip where each student and teacher that has read over 30 books is celebrated. To the English teachers she is a co-conspirator. She comes into our classrooms and imparts her knowledge on technology, reliable sources, and why reading a good book can be life-changing. Naomi Bates exemplifies a media superstar, but she is so much more! Stacy Dillon was one of the first people I met when I became active in ALA. Stacy is truly a pioneer in that she’s been leading the way in social media through her own blogs, through blogging as a contributor for others and through twitter. She is quick to share resources and models active learning for peers as well as students. I’m glad to see her recognized. Stacy is a true pioneer, ready and willing to explore and share through social media. Naomi is such an inspiration to me and the profession. I always leave her blog or twitter page inspire by her innovative ideas and approach. Her book reviews are a gold mine for me and my students. She makes me a better librarian. She is also a great leader as evident with her leadership in the North Texas High School Librarian PLN. When I first learned of Stacy’s nomination, my first thought was, “Of course!” In my conversations with parents at our school, both present and perspective, I mention the wealth of knowledge and experience that the students in the lower school can access through Stacy’s work. Stacy is always thinking about ways to connect students with important content and resources in a way that represents how they generally access the world. In an age of alternative facts and toxic social media, Stacy’s presence is refreshing. Additionally, Stacy is grounded in her understanding of the power of media to support movements of justice and change, and she is passing this along to our youngest students. I am so proud to call her a colleague, and appreciate the fact that she has chosen to share her talents with the broader community. I watched as Jane, with as little fanfare and has much humility as one could muster, came into a school and transformed the culture of the entire building by creating a library media program that excited children and adults about reading while opening their minds and experiences to digital media use and true child centered instruction. No request went unanswered from the teacher seeking a new way to excite students about research to the third grade girls who wanted their own coding club to the library media colleagues who wanted regular sessions to learn from and with her. Jane did it all with energy, enthusiasm, and tremendous professionalism. Jane was a gift to that school. Let me add my admiration to Naomi Bates who gives so generously of her background and knowledge to fellow librarians on LM_NET. Naomi Bates is the real deal when it comes to running a high school library! We all can see her impact and expertise through social media, but I get to see her in day to day interactions with staff and students as well. She is always so positive, innovative, creative and energetic and that certainly rubs off on everyone she interacts with. What is the difference between a good and a bad librarian? A good librarian makes books available and shares resources with others. A bad librarian does share neither her collection nor her knowledge. I have looked up to Naomi Bates for years. She is willing to share her knowledge and expertise across the state and nation, even internationally. I can recommend Naomi without reservation. Jane Martellino is the epitome of what a school librarian/ media specialist should be. She is a true role model, not just for librarians, but for the many teachers who have had the pleasure to watch her in action. I worked with Jane when she lived in Florida and was at our school in Hillsborough County. I learned so much from her excellent examples of great literature, outstanding motivational hooks to get kids reading, and ways to incorporate great technology to inhance the learning of my students. She constantly strived to get our whole faculty involved in supporting the importance of reading. Jane left such an impression on me and fellow colleagues. We continue to use many of the ideas she started at our school. With her willingness to share all of her hard work and knowledge with librarians and educators all over the world, Jane is able to touch the lives of so many children, too numerous to even count! She had our school do a book study, school-wide for all grades K-5. It was the most memorable project I have ever participated in and forever changed me in ways that made me a better teacher. That was at least ten years ago and, guess what? I was able to convince my faculty, many who were not there when Jane was our librarian, to experience the same school- wide project this year. Our entire school is currently reading and discussing “The Miraculous Journey of Edward Tulane” because of Jane’s impact that she made on my desire to get children to become lifelong readers. She was the catalyst that moved me in the direction to present the idea once again to my fellow staff members. It has been so inspiring to have Jane be such an incredible mentor. I still communicate with her to continue to enrich my teaching. With her insight and creative ideas, she encourages me to continue to touch the hearts and minds of all my students, year after year. Jane, without a doubt, is so deserving of this award! (It feels like) Stacy knows everything. Since we started co-writing our Mix It Up column for SLJ in 2014, I’ve had the pleasure of getting know Stacy and her incredibly insightful spirit on Twitter, Pinterest, and Instagram. She’s always coming up great ideas to write about in our column, and also knows…everything. Knows how to be an ally, knows how to reach tweens, knows how to write about reaching tweens, knows how to recommend books, knows how to tweet about great books to recommend…. I could keep going, but I think this drives my point home. She’s an incredibly important voice in our profession and I am inspired by Stacy’s work on a near hourly basis. Keep talking, Stacy, and I’ll keep listening. Coming into library and tech education just out of grad school, I was extremely lucky to find myself among a superstar roster of librarians, one of whom is Stacy Dillon. I’ve learned so much from her over the past few years and I’m inspired by the ways she collaborates with faculty to try new projects and ideas. Her Maker Mondays and Appy Hour at our school have been instrumental in developing a maker culture and a community that looks at tech realistically; not as the big bad wolf but not as the shiny new toy either. She’s thoughtful about innovation and that’s one of her best qualities. I know that I’ll always find her engaged in some interesting education, tech, or library chat on Twitter that will spark new ideas for me or introduce me to new trends. Overall, I support Stacy for this award wholeheartedly and with gratitude. It is one thing to be good at your job, to share your passion, and to inspire others. It is quite another to be able to communicate your passion, to bring others in, to inspire, to draw in and send forth. Stacy Dillon is a passionate librarian working with people of all ages–young and old, student, parent, colleague, friend. She is a maker and is crafty. She makes a mean pickle! And she can write about and communicate all that she is inspired as well as anyone I know. I can’t imagine a more deserving recipient! This makes me so happy to see that Stacy Dillon is being recognized as one of three finalists for this. In a very grounding and unassuming way, Stacy has always been a rock star of a librarian (I have never seen her at a loss for recommending a good read to any of our students or fellow faculty for that matter)! Fast forward several years and she is indeed a social media superstar as well. She has a pulse on everything and is one of the most informed people I know; I can dip into her Twitter, IG feed and/or book blog and always learn new things from what she shares there. Stacy is an incredibly vested, hard working colleague. She’s passionate about information and inculcating a love for lifelong learning & reading within our community. It’s been a pleasure to learn/grow/collaborate/work alongside Stacy these past thirteen years…how lucky and grateful we are. Yay Stacy! Naomi Bates has always been a generous librarian, always ready to share with all! She is passionate about all she does and is so dedicated to her students, teachers, librarian PLN and beyond. It’s wonderful to see her being acknowledged in our library community! What can I say about Stacy Dillon? I met Stacy online through her My Tweendom blog. She is one of my go-to gurus for ideas on not only extending activities for books but bringing programs into the library including making a home to school connection. I was lucky enough to meet Stacy in person and visit her library and tour the Little Red School house. She was even more dynamic in person! Stacy’s makerspace article in the ALSC Children and Libraries magazine inspired me to just start where I was. She’s a librarian’s librarian! Naomi Bates is a wonderful example of a Texas library leader! She is always quick to post answers on list servs if a fellow Texas librarian has a question, and she is always sharing great resources with us! When I had a question about book trailers early on in my library career, she took the time to answer me and help. We are so grateful for her here in Texas!! She is one of our rocks (someone we can always depend on) in the library world. Stacy Dillon has been a member of my Twitter PLN as long as I can remember!! I truly appreciate all she shares about literature and connecting kids with books. What I especially appreciate about Stacy’s work is her focus on connecting school and home, and her insight into developing strong community relationships. As a fellow elementary librarian, I am so grateful to have her in my PLN! Jane Martellino is a phenomenal teacher/ library media specialist. She is a change agent who transforms an environment and the people in it with a wide range of skills, a contagious positive attitude, and the ability to work well with others. 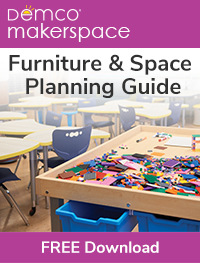 I met Jane just four years ago in a week-long MakerSpace course and observed her IMMEDIATELY modifying the activities done with adults to plan for their implementation in an elementary setting in September. She went way beyond that and as a leader in our State’s school library organization (CASL) worked to include making and participatory learning in a variety of professional development offerings. I have a sister who works as a teacher’s assistant at an elementary school at which Jane became the library media specialist. My sister, who had never spoken about the school library media specialist before, could NOT believe how Jane added new ideas, excitement, engagement and learning in the school. She said, “Until Jane came to our school I did not know the power of a good library media program on the entire school culture!” Jane is constantly learning and sharing — serving as a scout AND a pioneer. She uses technology to transform the way kids learn giving them an active voice in their learning. She epitomizes this category’s title — Program Pioneer!!! When I think of a library leader, Naomi Bates is at the top of the list. I look forward to the monthly #readYAlit chats. I love her blog. She is, to put it mildly, an active presence in the LM_Net listservs, sharing reviews, blog posts, new tools, and professional opinions. She is one of the best resources I know, and is always willing to share and help. I have no idea how she finds the time to tweet, blog, read, share, and do all she does – all while running a school library! She is the librarian I aspire to be, always looking for ways to learn and to make those around her more knowledgeable and passionate.